Anton Rea Cutajar’s large illegal zoo, in which he keeps all manner of wild animals, was this afternoon approved by the Planning Authority during a specially-designated hearing. The zoo has been developed and expanded over several years with no planning or licensing permission whatsoever, and Mr Cutajar has meanwhile flaunted his close friendships with the Prime Minister, Mrs Muscat, the government’s head of communications and the Minister of the Economy. His father is the Labour mayor of Birzebbuga, who was also a Labour Party candidate in the general election last June. When the vote on sanctioning was taken, the chairmen of the Environment Authority and the Planning Authority voted against, as did the (Nationalist) mayor of Siggiewi. A decision was also taken to rescind the €50,000 fine levied against Mr Cutajar, who protested that it is “excessive” – Mr Cutajar boasts that he is a multi-millionaire – in return for a pledge to provide free access to the zoo for state schools, through liaison with the Ministry of Education. This is wrong on so many levels that it is difficult to know where to begin. Should schoolchildren be taken on state-approved visits to a zoo set up by somebody who defiantly flouted the law for so many years? No, of course not. Should schoolchildren be taken on state-approved visits to a place where animals, designed by nature to live in the wild, are instead confined to restrictive cages for the delectation of owners and viewers who see them as objects? No, of course not. Should schoolchildren be taught by their state-school educators that it is perfectly fine and normal to breed wild animals in captivity, for sale for large sums of money, to Gulf sheikhs who keep them as objects and status symbols? That it is desirable, even, because ‘look how much money it makes you’? No, of course not. Should schoolchildren be given a live demonstration on how it pays the defiant to openly flout the law alongside their money and their friendship with people in power, because it gets you what you want in the end? No, of course not. Maltese society has become beyond appalling. Others watch, aghast, at what is happening and how it is treated as entirely normal. 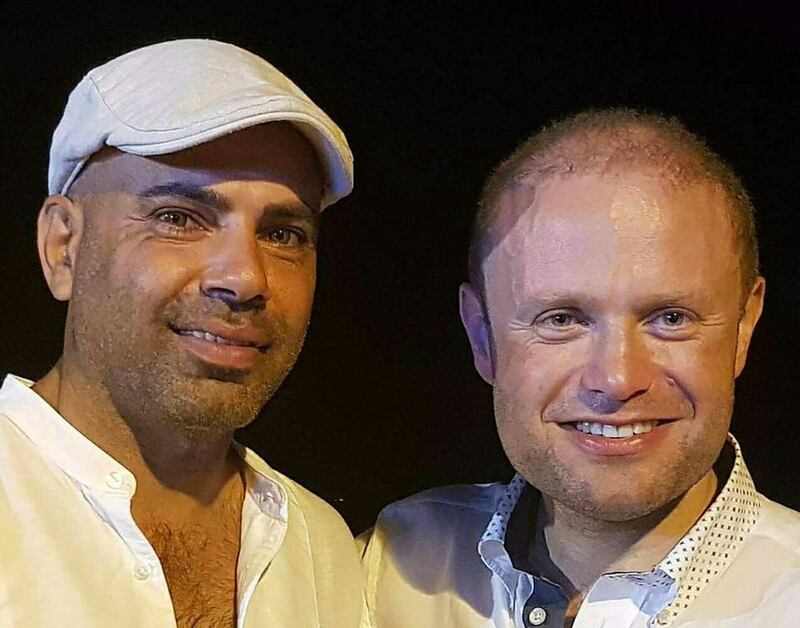 Anton Rea Cutajar, the owner of the extensive zoo development which has flouted the law for years while Mr Cutajar flaunts his relationship with the Prime Minister (pictured).